One of our inalienable rights is the right to complain to our city. And in a lot of neighborhoods, the complaint is about the noise from the hot tub next door. One topic swept under the hot tub is the noise factor when the typical hot tub is not in use. During the usually quiet times of the night you don’t want your family or the neighbors jarred awake by a hot tub’s circulation system or the heater cycling on and off. Circulation pumps are not uncommon, but other brands don’t use a quiet dedicated pump just to heat and clean the hot tub like a Hot Spring Spa. In most cases, those large, powerful jet pumps cycle on and off–day and night!–to clean out plumbing lines and areas that aren’t managed by the circulation pump. Heads up! Take a look at the owner’s manual provided by the hot tub manufacturer. (This is easily done in advance of purchasing. Most brands offer online versions of manuals.) If it mentions programming the unit and heating & cleaning cycles, there’s a good chance the noisier main pump will be used at odd hours (like when you and your neighbors are sleeping) to do those tasks. Ready for the good news? You have an option! A neighbor-friendly Hot Spring Spa ! Hot Spring has a “silent-butler” (a whisper-quiet pump actually) to handle the job of heating and cleaning your hot tub. 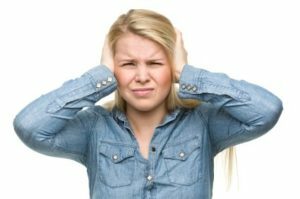 No one in your home will ever be awakened by hot tub noise or vibration in the middle of the night, and neither will your neighbors. Another bonus; it takes less energy to heat and clean your hot tub than it does to power a 40-watt light bulb! In fact, it costs less to operate a Hot Spring Spa than any other brand. Looking for a hot tub? When you’re comparing notes, make sure “all the noise” is about features and benefits, and that it’s not going to be keeping you and your neighbors awake at night.